Under new regulations by the NJ Department of Community Affairs, hotels and motels in New Jersey must train owners, operators and staff how to recognize signs of human trafficking. Employers must post educational posters about human trafficking and require employees to watch an educational video as a condition of employment. The regulation applies to all hotels and motels regardless of how many employees they have. 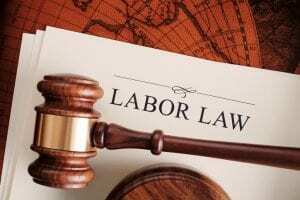 Any license, permit, certificate, or approval under New Jersey’s Hotel and Multiple Dwelling Law may be at risk if the hotel or motel does not verify its employees have completed the required training. According to the law firm Jackson Lewis, NJBIA’s HR legal hotline provider, the video advises workers to look for signs like a hotel guest who prevents another individual from speaking for himself or herself, or a guest controlling another’s identification documents. It also explains what viewers should and should not do in response to a situation in which human trafficking may be suspected. File the Bureau of Housing Inspection’s certification form with the hotel’s or motel’s application for a certificate of inspection.